These chiselled beauties are too clever for their own good. With pointed toes, supple leather and a grosgrain ribbon up the back, they can’t fail to make you look smart. 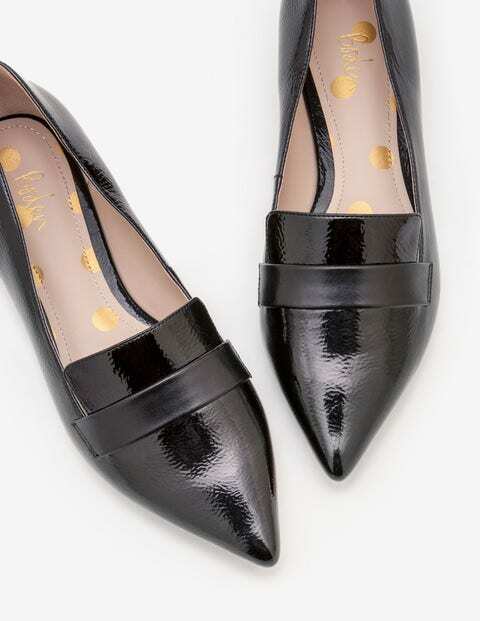 The patent shine will add a generous dose of gloss to your working wardrobe, but they’re also built for comfort with padded insoles – so you’ll want to wear them day in, day out.